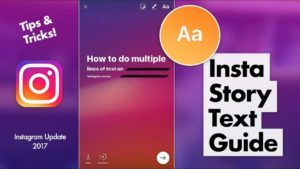 The Stories function, allows you to create photos and 10-second videos with text overlay, emoji and handwritten notes. The key feature of such posts is that, unlike the usual publications in your tape, they do not live forever and are deleted exactly after 24 hours. In its essence, the innovation is very similar to Snapchat and works about the same way, but with slight differences. 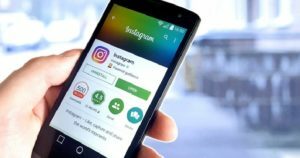 Despite the fact that the possibilities of Instagram Stories are not so many and all of them are very simple, it's not all users who are able to deal with them right away. 1. So what is the main idea of stories? 4. What to add to Instagram Stories? So what is the main idea of stories? Developers of Instagram designated the main idea of the function as: the exchange of entertainment content about everyday life. Short video and photos, as well as live broadcasts do not litter the tape and disappear after 24 hours after publication. 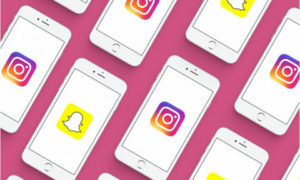 Many compare Stories to Instagram with the Snapchat application. But the first have one major advantage - you do not need to attract and create an audience from scratch, it's already collected - these are your subscribers. Introducing the "Text" mode in Stories is a new way to tell what's on your mind, using text (and the background photo or video is not necessary). Now you can share any of your thoughts in bright and colorful design. When you open the camera, next to the "Normal" mode under the capture button, you will see the "Text" mode. Touch it and write everything that revolves in your head: a thought or a line from your favorite song. Apply the style you like to make your message more expressive. Then you can select different background colors, highlight words and phrases, or add a photo as a background. In addition, you can apply new styles to the text for your photos or videos. Like everything else in Instagram Stories, such an image will disappear after 24 hours. The text should be as short as possible. Instagram users usually have little attention persistence, so you only have a few seconds to keep their interest, even if you have exciting content. Use short sentences. Do not write long paragraphs of the text. Better let your text start on one slide and continue on the other. What to add to Instagram Stories? Instagram pampers users with the choice of effects for editing photos and videos. An entire field for experiments! After taking a picture or video, you will be taken to the editing screen. Select a filter - swipe left or right, scroll through the filters until you find the one you want. To write text in a photo or video, select the "Aa" button. Adjust the font size, rotate the text in different directions, change its color and location on the screen.